The goal of Arc of Maui County (Arc) is to promote and protect the human rights of people with intellectual and developmental disabilities in our community. The agency is the shared vision of many dedicated parents, family members, people with disabilities, staff and advocates from the community and across the nation. For over 60 years, Arc of Maui County has provided Vocational Services, Group and Individualized Learning Programs and other services that help to ensure full inclusion and participation in the community to individuals with cognitive or physical disabilities, or both. 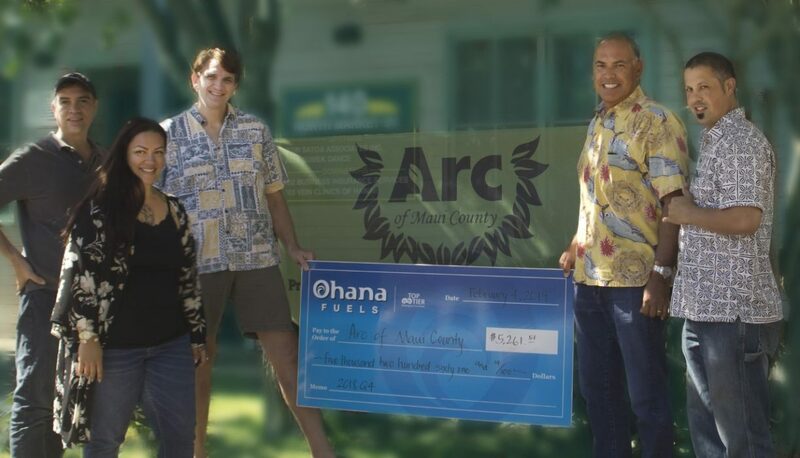 Arc’s Residential Services also include six group homes located throughout Maui County. As the beneficiary of Ohana Fuels’ “Fuel up. 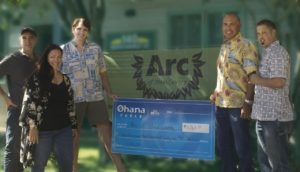 Do good.” program for the fourth quarter of 2018, Arc of Maui County received a donation of $5,261.51. Ohana Fuels is Hawaii Petroleum’s retail fuel brand that provides competitively priced, quality fuels at safe, clean and convenient locations including eight stations on the Island of Maui, and eleven stations on the Island of Hawaii. Certified as a “TOP TIER” fuel provider, Ohana Fuels meets the premier standard of gasoline for optimum performance and fuel efficiency. Hawaii Petroleum is committed to making a positive contribution to the communities in which our Ohana Fuels stations operate, and gives local residents a way to support the community with every tank of gas they purchase. Learn more at www.ohanafuels.com. 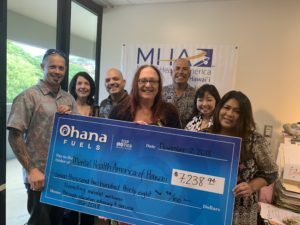 The Maui office of Mental Health America of Hawaii was the most recent beneficiary of the Ohana Fuels, ‘Fuel Up. Do Good.’ program. 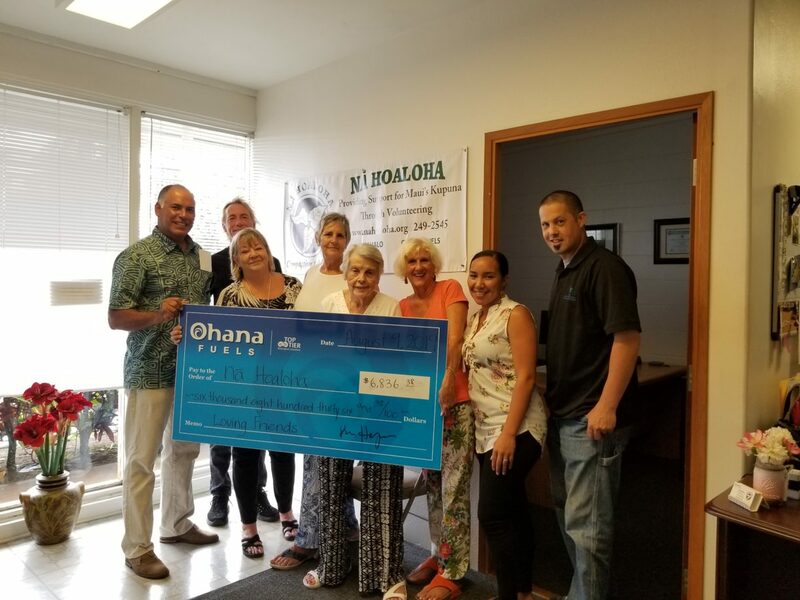 Ohana Fuels partners with nonprofit organizations serving the needs of the local community and donates a portion of the proceeds from every gallon of gasoline purchased at all Ohana Fuels stations in that community. Third quarter sales at Maui Ohana Fuels locations resulted in a $7,238.94 to Mental Health America of Hawaii. The mission of Mental Health America of Hawaii is promote mental wellness through education, advocacy and service. We endeavor to reduce the stigma of mental illness and improve the overall care, treatment and empowerment of those affected by mental illness, children, adults, elders and their families. Through our leadership, we expand mental health awareness, understanding and action. We advocate to ensure that people with mental health problems have the services they need. Anstin Rodrigues, of Hawaii Petroleum/Ohana Fuels presents check to Mental Health America of Hawaii. (From left to right, front row, Anstin Rodigues, Danielle Bergan, Theresa Haggerty; second row, Virginia Shaw, Dr. Adam Coles, Kimo Haynes and Lynn Araki Regan. Ohana Fuels is Hawaii Petroleum’s retail fuel brand that provides competitively priced, quality fuels at safe, clean, and convenient locations including eight stations on the island of Maui, and ten stations on the island of Hawaii. Certified as a TOP TIER™ fuel provider, Ohana Fuels meets the premier standard of gasoline for optimum performance and fuel efficiency. Hawaii Petroleum is committed to making a positive contribution to the communities in which our Ohana Fuels stations operate, and gives local residents a way to support the community with every tank of gas they purchase. Maui – Nā Hoaloha was the most recent beneficiary of the Ohana Fuels ‘Fuel Up. Do Good’ program. 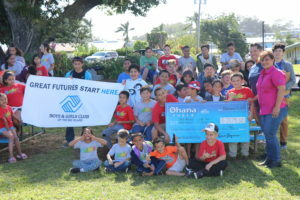 Ohana Fuels partners with nonprofit organizations that serve the needs of the local community and donates a portion of the proceeds from every gallon of gasoline purchased at Ohana Fuels stations in that community. Second quarter sales resulted in a donation to Na Hoaloha in the amount of $6,836.38. Pictured left to right: Kimo Haynes, President, of Hawaii Petroleum;, King Van Nostrand, President,. Nā Hoaloha Board of Directors;, Judy Guajardo, Volunteer Coordinator;, Mara Lockwood, Treasurer,. Nā Hoaloha Board of Directors;, Fern Crum, Kupuna Support Volunteer;, JoAnn Rockwell, Volunteer;, Pua Pahukoa, Program Assistant; and Anstin Rodrigues, Account Manager, for Hawaii Petroleum. 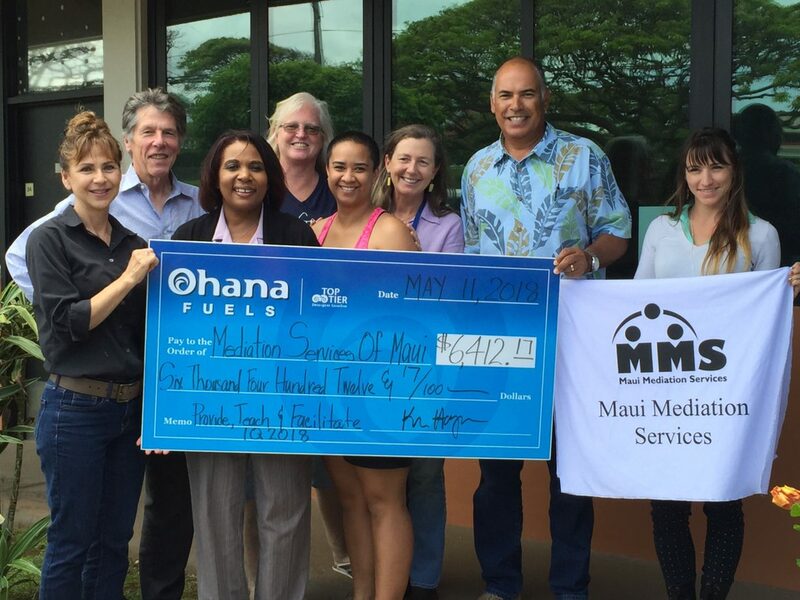 (Wailuku) – Maui Mediation Services (MMS) was the most recent beneficiary of the Ohana Fuels “Fuel Up. Do Good.“ community giving program. Ohana Fuels partners with nonprofit organizations that serve the needs of the local community, and donates a portion of the proceeds from every gallon of gasoline and diesel purchased at Ohana Fuels stations in that community. Maui Mediation Services’ donation included $6,034.17 from first quarter sales, plus an additional $378 in carwash proceeds. MMS, which started as the Maui Neighborhood Justice Center, has been providing mediation services to Maui County for more than 35 years. Volunteer mediators facilitate a confidential process where two or more people meet to work out mutually acceptable solutions to their problems. The organization now routinely receives more than half of its cases as referrals from Hawaii State Courts. They also provide conflict resolution training opportunities for youth and for the workplace, as well as anger management sessions and meeting facilitation services.